Do You Believe Print Publications Are Dead? 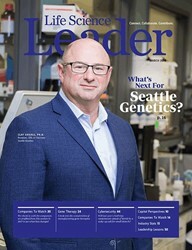 What’s Next For Seattle Genetics? What Do Biopharma Execs (Not Typically Involved In Manufacturing) Need To Understand About PUPSIT? What Are Some Challenges Of Patient-Driven Drug Development, And How Can They Be Overcome? When Is The Best Time To Implement A Secondary Manufacturing Sourcing Strategy?